If a book review or book jacket says that the novel is “atmospheric,” I am immediately intrigued. Atmospheric is a relatively new term used to describe books, and can be defined as something creating a distinctive mood, such as romance, mystery, or nostalgia. Atmospheric can also mean something that is of the earth, such as the conditions of fog or cold. If a book is really good, really atmospheric, it will use both of these definitions hand in hand to walk you through a plot. This time of year can be seen as atmospheric, as we shift from our very hot and dry summer to a cooler, hopefully wetter, fall. The leaves on the trees change in a way that is of the earth, and the softer light and shorter days bring on a distinctive mood, particularly one where you can curl up with a good book. For me, the best atmospheric books are mysteries, and the best mysteries are from the British Isles. 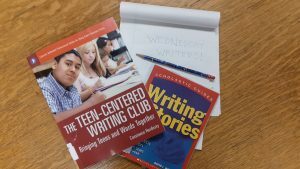 For the past several years, I have been reading the works of three mystery writers and waiting impatiently for the next book in their respective series to be published. All three write with somewhere in the British Isles as a setting, and all three have an interesting lead detective and cohorts out solving the mysteries. If you like a little historic perspective in your atmospheric mystery, then you will enjoy Ellly Griffiths’ mystery series taking place in Norfolk, England. The main character is an archaeologist named Ruth Galloway, who teaches at the fictional Norfolk college and solves crimes with the gruff but attractive Detective Chief Inspector Nelson. Ruth is intelligent with a wry sense of humor, and I would follow her across the map to dig up bones and read cryptic messages in the blustery wind (from my own couch of course). Start with Griffiths’ The Crossing Places and move all the way through to her current novel, The Chalk Pit – the ninth in the series. 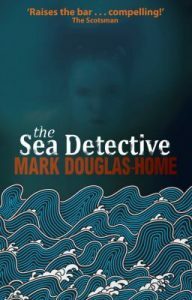 Mark Douglas-Home, author of The Sea Detective series, brings us a unique mystery solver in his protagonist Cal McGill. Cal is an oceanographer who studies the currents and tides to determine how items or bodies wash up and away from shores. This series takes place in a fictional town in northern Scotland with lots of white-capped waves, steaming mugs of tea, and tragically missing people. There are currently three books in this series, and all deal with a mystery involving haunting family secrets and interesting investigation techniques. Finally, we have the remote Shetland Islands, the most northern of these mystery reads, and Ann Cleeves’ chilling novels of particularly secretive small-town life. Inspector Jimmy Perez works with several town personalities to get to the bottom of things. Cleeves’ books are grouped together by seasons and by elements, so she does a truly atmospheric spin on things by using the landscape and the weather to showcase her writing. The first book in the series, Raven Black, will have you hooked on Shetland in no time. Traveling to windswept shores and haunting terrains for a mere whodunnit might not be on your list to do anytime soon, but that is the joy of meeting the above sleuths on the page. Any book in this array of Northern mysteries will have you sinking into atmospheric bliss, and you only have to visit the library to do it!